X Rebirth VR Edition is a new standalone game based on X Rebirth Home of Light, completely redesigned and optimised for a Virtual Reality experience. X Rebirth VR Edition is a new standalone game. 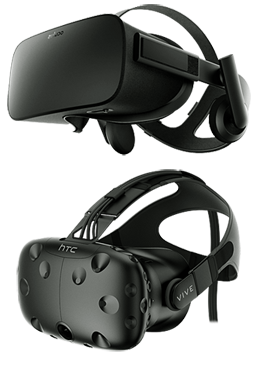 While X Rebirth VR Edition is based on X Rebirth Home of Light, every aspect of this game is tailored towards an immersive VR experience for the HTC Vive and Oculus Rift. Special universe and economy: While based on X Rebirth and Home of Light, the universe and economy of X Rebirth VR Edition are specially designed for a Virtual reality experience. This is also the reason why the games are not savegame compatible. New graphics engine: X Rebirth VR Edition will be the first title by Egosoft to utilise our new in-house development, based on the innovative new Vulkan graphics technology. New content: X Rebirth VR Edition extends the gameplay and universe with new missions to deliver a unique virtual reality experience. Special UI: The user interface of XR VR Edition was specially designed to work entirely as an immersive first person VR cockpit experience. Pace and Balancing: All aspects of the game had to be rebalanced to create the best experience for the VR environment. X Rebirth VR Edition shares all other features of X Rebirth 4.0 and Home of Light. X Rebirth represents a spectacular new beginning for the X series, offering loyal fans and newcomers alike a vast, vivid and extremely detailed universe to explore throughout the game. Varied gameplay elements such as action-packed space combat, detailed trading mechanics and high-speed space exploration with fast travel allow players to experience a truly unique space saga that will keep them hooked for dozens of hours. X Rebirth features a whole new user experience - it is easier than ever to start with. With Home of Light, the experience reaches a whole new level where the opportunities to TRADE, FIGHT, BUILD, and THINK have never been bigger. X Rebirth VR Edition is a new standalone game and is now available.